TVPast Forums | Can Fungus Eat Optical Medias? This really is not the correct site for these advanced topics. You came here, following me, but you need to curtail some of these advanced video things to digitalFAQ.com. Not TVPast. Ether you're not reading it correctly, or you're reading regurgitated information from people that themselves don't understand any of this beyond the scary BS news from last decade. "Eats polycarbonate", for example, is nonsense. Remember, CD is not archival. Why? The dye is easily exposed, the foil is fully exposed. Oxygen ruins it over time, and it's easily subjected to contaminants. And yes, one of those contaminants can be organic. And yes, organisms that survive off other organic matter. There's a lot of weird stuff on our planet. We constantly find things surviving in places never thought possible. But are they widespread? No. They're curiosities. In the past 20 years, I've read about less than a dozen cases of this nature. They are fascinating from a scientific perspective, but little else. 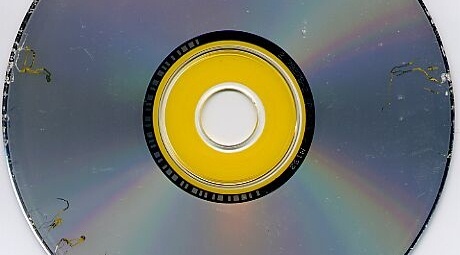 All are about CD-R, no other optical format (not pressed, not DVD, not even CD-RW). Washing your hands is funny, if you understand the science. It's not that type of bacteria. You're concerned about something that you'll likely never see first-hand. You have a better chance of winning a lottery, or being struck dead by lightning. A few more cases have surfaced since then. Many, many so-called "fungus" topics in user forums and blogs, however, are not due to contaminants. Many uneducated users, for example, confuse dye imperfections with fungus. I see a lot of those by simply searching for "disc fungus" in Google image search. I'm not re-hashing it again. You got your answer then, and it's unchanged now. Did you say that only the CD is attacked by fungi? DVD and MDisc are not affected by these parasites? Most germs are microscopic . Even bacterial de-containments are not full proof. I m a huge science geek. Infact I got A's in science , astronomy , and few other related classes. The killer fungi are unseen to the human eye. Those types of fungus are usually found in places like the Amazon, Rain Forest, obscure locations of foreign countries. You ll drive yourself crazy and become paranoid over this subject. I-. If you have those types of bacteria living in your area . I sure hell wouldn't stress over my dvd collection - I d move to another location. I understand as LS has pointed out in the past. You are trying to learn . That's great. But some of your posts are over kill. Once you get the answer thats it. There are no magical solutions to preserving data life. It will either last . Or it wont . That simple.Technology, like life , is an unpredictable . There will be no one right answer to anything. We all live in different climates . Which is also unpredictable these days due to Climate Change. For example-I live in Ohio in USA. 3 yrs ago during this time of the year we would normally have nearly a foot of snow. Sub freezing temperatures 3- below zero . Today it is 60 degree ! and raining like a spring day. When it rains here- our basement gets a lot of water - and mold happens. I have allergies - BAD ALLERGIES! I run a dehumidifier. Take medication and try not to stress over it . But Tomorrow I may get 8 inches of snow. Who knows... You are young. Go out and enjoy your life. Dont worry so much about dvd cd getting ruined. because everything you have can be re-obtained . If something does happen,GOD FORBID. your fellow members here will help you get back what you lost. One way or another it will get replaced. Take a breather and just play some games , watch a movie , go on a date, or anything that dont involve being online reading too much into one thing . How likely is a Geotrichum fungus or other fungus to develop and eat corrode the polycarbonate, glue and dye of the DVD / CD / MDisc? Did you see the photos I posted? Fingerprint at the center and edge of the disc will cause this problem to be stored in the long term? Last edited by cp32; 01-27-2017 at 08:25 AM. I keep my discs in black cases of dvd in a ventilated place but on rainy days the humidity is high anywhere, on those rainy days the fungus grows? Fungus grows everywhere. The human body has fungus that naturally lives on it, such as tinea versicolor and "athlete's foot". But not all fungus wants to eat CD dye. In fact, almost none does. It's not hospitable compared to other things with lesser paths of resistance. I've seen horror movies/shows where a fungus/bacteria/whatever can eat your whole body in minutes. ^ And that's on topic to this site. Your plan sounds fine to me. Keep the discs clean and dark. You collection will be fine. 1 Does any fungus eat cd / dvd / bluray / mdisc polycarbonate? 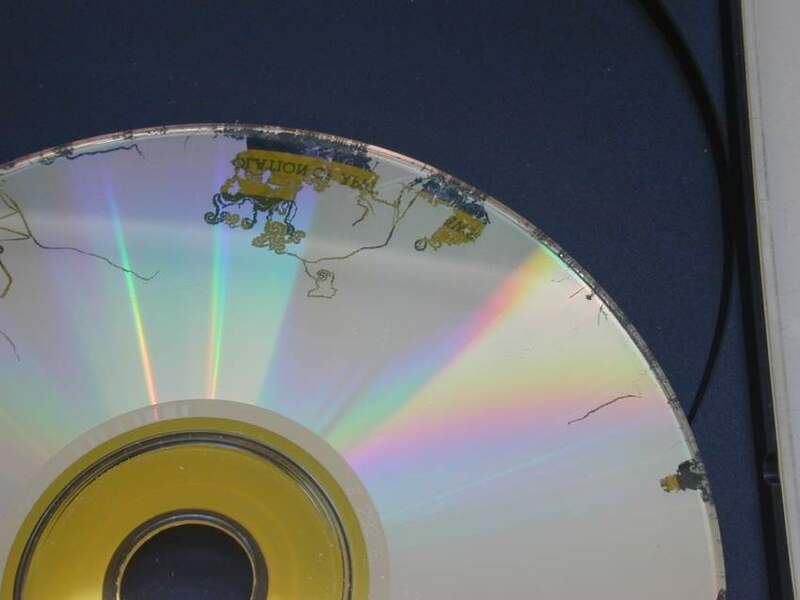 2 Does some fungus eat the glue of cd / dvdr / bluray / mdisc? 4 About cd / dvd / mdisc storage i keep these discs inside black dvd cases and cases inside boxes in an open and ventilated room but on rainy days the humidity is high anywhere on rainy days the humidity goes Cause fungal growth on discs? 5 Is there a problem if I leave the fingerprint in the center of the disc? Ls, Im ready to choke both of you for keeping this thread going and waking me up at 5am.Gir ! Unsubscribe from this one thread. Although our Brazilian friend does get OCD on the topic of optical disc death, some of his points are valid. By responding to his posts, in several forums, I've been able to further educate and debunk myths. Somebody always has to be first, when asking stupid questions, right? You've asked some doozies in your day, too. But rather than be an internet troll, or ridicule, as he's faced in so many other forums, I'd rather answer. I'm a believer in education, and several of my close friends are also teachers. He's being no more daft than a graderschooler. Just somewhat OCD, and doesn't know when the conversation is over. And this fungus topic is over.